Dogs have owners, cats have staff — right? The whole notion that you can train a cat may seem preposterous, especially to those who take the view that cats are diabolical manipulators who make their humans into putty in their paws. But Dr. Sarah Ellis says cats are trainable. And training them is important for the mental health of our companion kitties as well as for ourselves, especially as we subject them ever more to environments that are unnatural to them. Many cats are now confined indoors their whole lives, to protect them from traffic or to protect birds from them. Others are shut in at night to keep them safe from predators. And while a dog’s place is with their owner, cats are highly territorial and feel comfortable only at home. Hence the struggles over getting them into cat carriers and the howls of protest that endure throughout the car ride to wherever we are taking them. 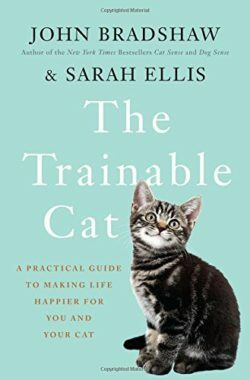 Ellis and her co-author biologist John Bradshaw — he wrote the best-selling book Cat Sense — show how easy and fun it is to train cats, once we understand their true nature. Sarah Ellis works with the charity International Cat Care and studies cat behavior at the University of Lincoln in the UK. Well, I guess I shouldn’t have believed them. Perhaps if the pollsters and pundits who made those forecasts had consulted Rall’s book, they might not have been so delusionally confident. Some see Trump’s rise as a sign of encroaching fascism, allowing extreme rightwing views about immigrants and Muslims to gain currency. But while Trump’s message of hate and intolerance excited a portion of his base, is it really the main reason for Trump’s triumph? We should remember that Bernie Sanders remains the most popular politician in America — and his poll numbers against Trump always had a much wider margin than Clinton’s. Maybe we need to look beyond the hatred to another key factor: the destruction of good union jobs and the disappearance of the middle class. 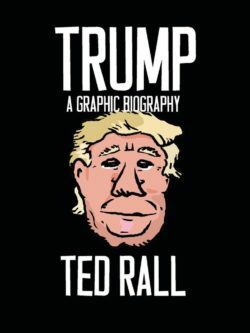 Ted Rall’s political biography of Trump is an antidote to the media’s failure to understand what is behind the Trump phenomenon. We air an edited version of our conversation about it this week. Listen to the full interview here.